If your child is born with congenital anomalies like cleft lip or cleft palate then there is no need to worry now. Your child will be provided with plastic surgery of the same completely FREE of cost at Shrinivas Hospital. Are you afraid of the severe pain during delivery? Well! you are in the right place now, We have facility for painless delivery which you will cherish for life. The department of Pediatric at Shrinivas Hospital is multispecialty, tertiary care centre which takes care of children from birth till the age of 18 years. The state of the art department caters to the complete range of childhood problems with all the subspecialty services developed under one roof. These speciality services are provided by well trained and experienced pediatric sub-specialists. The department has state of the art well equiped 8 beded Pediatric Intensive Care Unit managed round the clock by consultant Pediatric Intensivists. The Department provides comprehensive services ranging from health promotion to clinical excellence in maternity and gynaecology. We deliver compassionate world-class care with the latest technology in a family centered environment. The department has Birthing Suites and a well equipped maternity complex with fetal monitors to follow the progress of labour and provides the facility for painless delivery round the clock. The patient is under observation by doctors on duty and supported by well trained & experienced nursing staff. There are dedicated operating rooms for cesarean section in the same complex. The Department of General Medicine at Shrinivas Hospital is one of the best tertiary care centers in India and is staffed by highly qualified doctors of national and international repute. 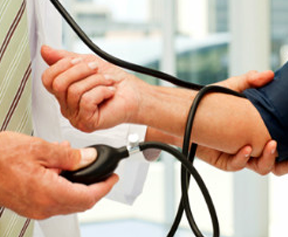 This department provides O.P.D, Speciality Clinic, Intensive Care Units. Our prime objectives is Accurate diagnosis,Prompt treatment and Patient awareness regarding preventive aspects of the diseases. The department works in close association with all other superspecialities to ensure that the needs of all types of patients are properly identified and met. The Department of General Surgery provide modern and state of the art surgical treatment options for patients. The General Surgery service is manned 24/7 by an experienced and dedicated team of consultants. The department is committed to providing ethical and evidence based surgical options to our patients. We are committed to the principles and practices of WHO Global Initiative of Safe Surgery Save Lives. The Division of Pediatric Surgery offers comprehensive pediatric surgical care from newborn age till 18 years. Children, especially babies, present special challenges in surgery because of their small size and their responses to illness and surgery. 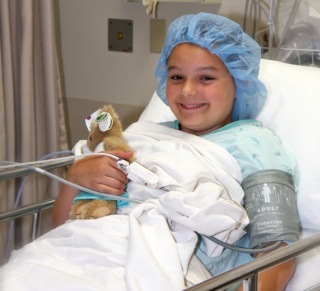 Our pediatric surgeons provide consultation and comprehensive inpatient and outpatient surgical care. Laparoscopy is a type of surgery. It is used to detect and treat many health problems. Over the past 20 years, laparoscopy has become fairly common. It often can be performed as an out-patient procedure. Most patients recover from laparoscopic surgery within days. Laparoscopy is a way of doing surgery without making a large incision (cut). At Shrinivas Hospital for Orthopedics is at par with international standards and offers Orthopedic surgery such as sports or strain-related injuries of the knee, shoulder, hip or hand, or other joints, bone fractures, trauma, joint diseases and injuries, and spinal injuries. The Centre is manned by experienced and highly skilled orthopedic surgeons. The Department of Neurology at Shrinivas Hospital is one of the best tertiary care centers in India and is staffed by highly qualified doctors of national and international repute. The Centre is manned by a highly qualified team of neurologists, neurosurgeons, neuropsychologists and psychiatrists, and is ably supported by neuroradiologists, rehabilitation specialists, dieticians and life-style counselors and a dedicated neuro intensive care team. 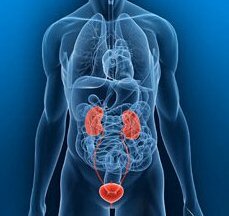 The urology department at Shrinivas Hospital offers a comprehensive urological service to diagnose and treat kidney stone problems, urological cancers, incontinence, male infertility, impotence, female urology, paediatric urology, prostatic surgery and other urinary difficulties. The Dentistry Department at Shrinivas Hospital is a center for dental care that is committed to quality and excellent patient service. 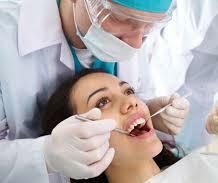 We have highly experienced dental surgeons to improve your dental health by providing a full range of dental services.